How can businesses, advertisers and publishers ensure they serve high quality ads online? Quality in digital advertising has been top of mind for advertisers and publishers worldwide over the last year. In fact, executives at two of the world’s largest brand advertisers, Unilever and P&G, recently called out the lack of transparency, poor quality and untrustworthy players rampant in the space. Just one of those concerns, ad quality, is estimated to cost advertisers $10.9 billion (£8.21 billion) in wasted ad spend by 2021 if current standards don’t improve. And, while this is a sizable cost, it’s just the tip of the iceberg when factoring in all of the other quality challenges publishers and advertisers must consider. Building on existing anxiety about the obscure supply chain and complex — often opaque — trading processes, ad quality, traffic quality and issues of fraud have diminished confidence in automated advertising. Indeed, a recent survey by the CMO Council found one third of chief marketing officers avoid programmatic advertising because of mistrust and confusion. In doing so, however, they are missing an opportunity to harness the vast reach, efficiency, and scale programmatic provides. Not to mention this reduces monetisation options for publishers and can hold overall industry progress back. So, how can advertisers and publishers reap the rewards of programmatic and allay their fears about quality concerns throughout the digital ecosystem? Traditionally, the responsibility to improve quality standards has fallen to advertisers, but this is changing as the wider impact of bad advertising becomes apparent. Concerns around ad quality and traffic quality for instance are now starting to be seen as an industry-wide challenge, and every branch of the digital ecosystem has a role to fulfil in the fight for better standards across the board. For example, the Internet Advertising Bureau (IAB) has made great strides towards improving trust and transparency by creating initiatives that can be used to achieve better quality assurances at both ends of ad trading, such as ads.txt. In brief, this standard allows publishers to host a text file on their web servers that lists who is authorised to sell their inventory; enabling advertisers to check media before buying — no spoofed domains — and ensuring publishers don’t lose ad spend to fraudsters. Similarly, programmatic exchanges can verify the inventory they are permitted to sell and bidders can check tags for ads.txt files. Unsurprisingly, ads.txt is proving popular with media owners, and according to a global audit of comScore 1000 publishers, adoption grew from 7% to 54% in under six months. Given the ability of the process to reduce unauthorised reselling and fraud, there are compelling reasons why it is likely to become standard practice for advertisers too. Furthermore, buyers and sellers can add an extra layer of confidence by checking for certification from the Trustworthy Accountability Group (TAG). As part of its ‘Certified Against Fraud’ programme, TAG issues a seal for companies that meet its robust anti-fraud requirements, which are tailored to assess a variety of specific industry functions. The idea is that by only choosing programmatic partners that have invested in gaining this verification advertisers and publishers can limit quality issues. And it seems to be working: the 2017 TAG Fraud Benchmarking Study found that exclusive use of TAG certified distribution channels can reduce the level of fraud by more than 83% compared to the industry average. Following YouTube’s recent brand safety challenges, which fuelled major concerns amongst advertisers as their ads appeared alongside questionable content, calls for brand safety guarantees are growing. From the advertiser perspective, it’s increasingly important to ensure inventory is valid and ads are not placed on unsuitable pages — such as illegal or hate sites, or those featuring content that could damage a brand’s reputation — by selecting an ad exchange partner that is responsible, transparent, and of the highest quality. For publishers, brand safety optimisation is twofold. Not only do they need to keep an eye on their own content (and that of contributors) but they must also be in control of the types of ads allowed on their websites. This means prioritising high-quality ads, regardless of whether they bring in the highest yields. Even if inferior and disruptive ads such as pop-ups drive greater revenue, the risk that they will irritate audiences, diminish the user experience, and promote ad blocker usage is not worth taking. Plus, by implementing quality policies, publishers can boost trust and send a clear message to the industry: bad ads will not gain access to premium inventory. 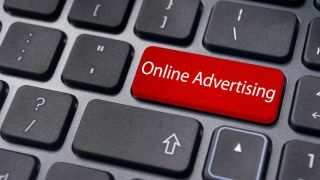 Finally, as more advertisers turn to programmatic, it’s critical that both buyers and sellers of online ads have absolute faith in their partners, and this necessitates removing obscurity from the supply chain. Reordering the muddled programmatic landscape isn’t a task that vendors can tackle alone; we will only achieve clarity if the entire industry comes together and pushes for higher standards — including buyers and sellers. To build an open, fair and sustainable digital ecosystem, technology companies on every side of an ad transaction must be upfront what’s going on in the supply chain. One example that’s been in the news lately is clarity around fees. One way for publishers and buyers to combat this is to thoroughly vet partners and ensure it is outlined in their technology contracts. Ultimately, a healthy digital ecosystem requires trust at its core, and transparency is a way to ensure efficiency and long-term sustainability. With other global regulations reigniting the spotlight on digital practices across several sectors, it is the perfect time to assess the current state of quality in digital advertising. By consolidating around fewer and more trusted tech partners, that invest heavily in anti-fraud initiatives and focus on curating high-quality advertising marketplaces, advertisers and publishers can unleash the full potential of programmatic, and push the entire industry forward.